Please read these Terms of Service (“Terms”, “Terms of Service”) carefully before using the www.raskfinance.com website, www.raskmedia.com.au website and www.bestetfs.com.au website (collectively, the “Service” or “Websites”) operated by The Rask Group Pty Ltd (ACN: 622 810 995) (“us”, “we”, or “our”). Our Service includes General Financial Advice only. That means, the advice does not take into account your objectives, financial situation or needs. Because of that, you should consider if the advice is appropriate to you and your needs, before acting on the information. In addition, you should obtain and read the product disclosure statement (PDS) before making a decision to acquire a financial product. If you don’t know what your needs are, you should consult a trusted and licensed financial adviser who can provide you with personal financial product advice. The Rask Group Pty Ltd (ACN: 622 810 995) (“we”, “our” or “us”) is a Corporate Authorised Representative (No. 1264179) of Strawman Pty Ltd (AFSL: 501 223). Any financial product advice or other financial services is provided by us as a representative of Strawman Pty Ltd.
We offer yearly Subscription Services for our premium information. Each of these Subscription Services are found inside a private website called Rask Invest, which is a member-only newsletter, website and information that has a regular price of $365 per year (for the “Complete” membership) or $99 per year (for the “ETF Only” membership), payable at the Commencement Date of the Subscription Service. With promotions, the regular price of a Subscription Service may change from time-to-time. Rask Invest Complete: $365 per year, minus any discounts for promotions used at the Commencement Date of the Subscription Service. The Subscription Fees will automatically revert to the regular Subscription Fee following the expiry of the Subscription Service, unless you terminate the Service more than 24 hours before the annual anniversary of your Subscription Service Commencement Date. Rask Invest ETFs Only: $99 per year, minus any discounts for promotions used at the Commencement Date of the Subscription Service. The Subscription Fees will automatically revert to the regular Subscription Fee following the expiry of the Subscription Service, unless you terminate the Service more than 24 hours before the annual anniversary of your Subscription Service Commencement Date. If you provide us with a notice of termination within 5 business days after paying your Subscription Fees for a Rask Invest Complete Subscription Service we will refund the full Subscription Fee to you within 10 working days. 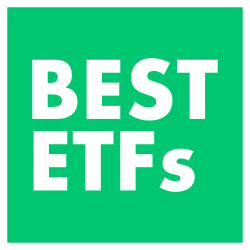 Our money back guarantee does NOT apply to the Rask Invest ETFs Only Subscription Service. If you have any questions about these Terms, please contact us by visiting our ‘Contact Us’ page on our Websites. Alternatively, you can email us: service@raskfinance.com.